February is one of my favorite months, even though the weather is usually dreary, because my birthday is on the first and Nick's is on the twenty-ninth. And y'all, I'm blaming all my book acquisitions on my birthday... Oops! 1. Celebrating My Birthday - This isn't a great picture, so I hope you'll forgive me! I spent the morning of my birthday hanging out with my boys, then we met my mom and Grammy for lunch.,and they took our little peanut home with them for the afternoon. So, Nick took me shopping, and I got some awesome goodies. 2. Beatriz Williams, Amber Brock & Karen White Book Signing - I recently discovered FoxTale Book Shoppe and immediately put this signing on my calendar. I've only read one book by Beatriz Williams, even though I own all of them (I KNOW), but I've been hoping I'd be able to meet her. What a bonus to meet Karen and Amber, too! 3. Enjoying the Gorgeous Weather - Honestly, it didn't even feel like February! Sure, there were some cold and/or rainy days... but the month overall was so lovely. We took advantage of the weather and visited the park, went on walks around the neighborhood and hung out on a blanket in the backyard. It was heavenly. 4. Setting Up My Desk - I mentioned to Nick recently that I wanted my own desk because I often end up blogging at the kitchen table (and then it's a mess). I wanted my own space and realized that I already had the perfect area - it just needed a refresh! That became my project in February, and I'm thrilled with the result. I kicked off the month by recapping January 2017, and then I finally finished the 2016 End of the Year Book Survey. I love that post once it's done, but I always put off answering the questions! Then, I posted Will You Be My Valentine? 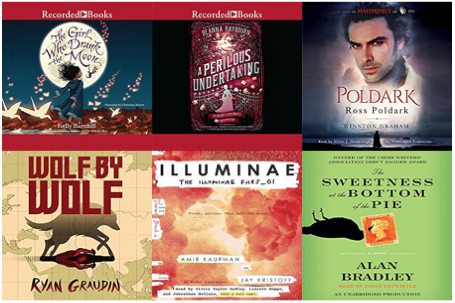 and highlighted seven swoony books for any mood. It was fun to talk about some recent adult contemporary releases that I'd recommend! I followed that up with So Obsessed With: The Winter 2017 Edition. It's so fun talking about seasonal favorites for my beauty, my closet and my entertainment. Finally, I reviewed The Keeper of Lost Things by Ruth Hogan and featured it in the most recent edition of Buy the Book. 1. 30 Things I Learned by 30 by Kelly from Belle of the Literati - I always love posts that are reflective, so it's practically a given that I was going to bookmark this post from my sweet friend, Kelly. I've learned some of these lessons myself, and it made me pause and think about what I'd add to her list. That's the best kind of post! 2. Guess What! 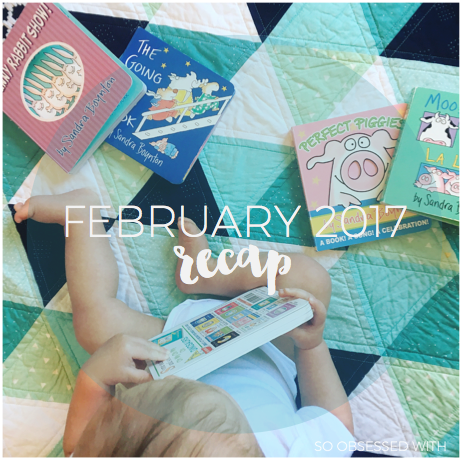 by Morgan from The Bookish Beagle - This was one of THE BEST announcements in February! 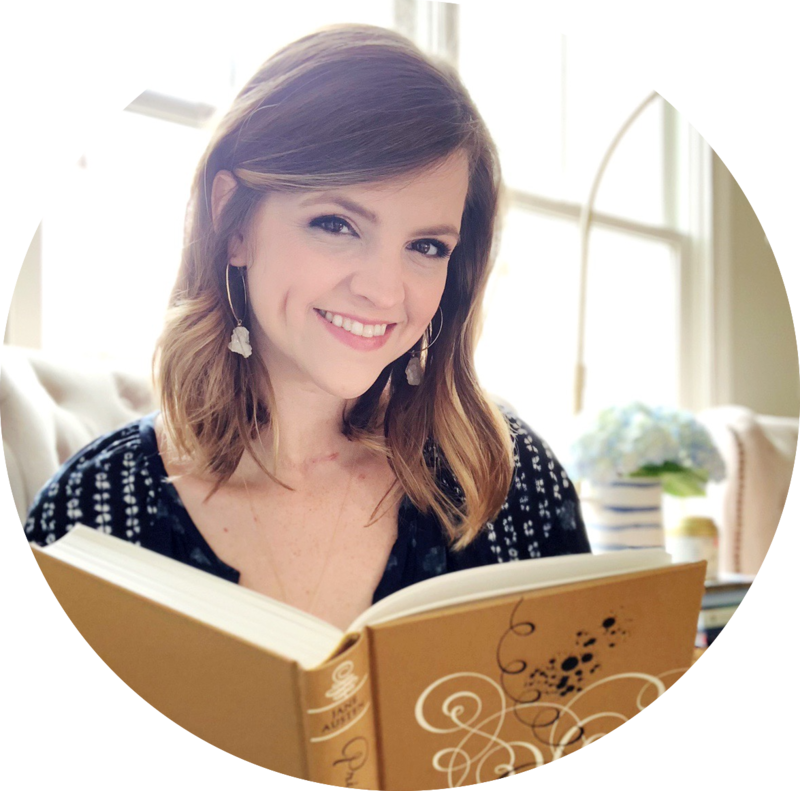 I just love Morgan and think she brings so much to the bookish and blogging world, so I'm ecstatic that she's launching her own blog. SUBSCRIBE, Y'ALL. She'll have you fangirling alongside her in no time! 3. Your Afternoon Chat: Books! Books! Books! by Jessica from Go Fug Yourself - The Fug Girls talked about books again in February, and I loved reading through the comments. 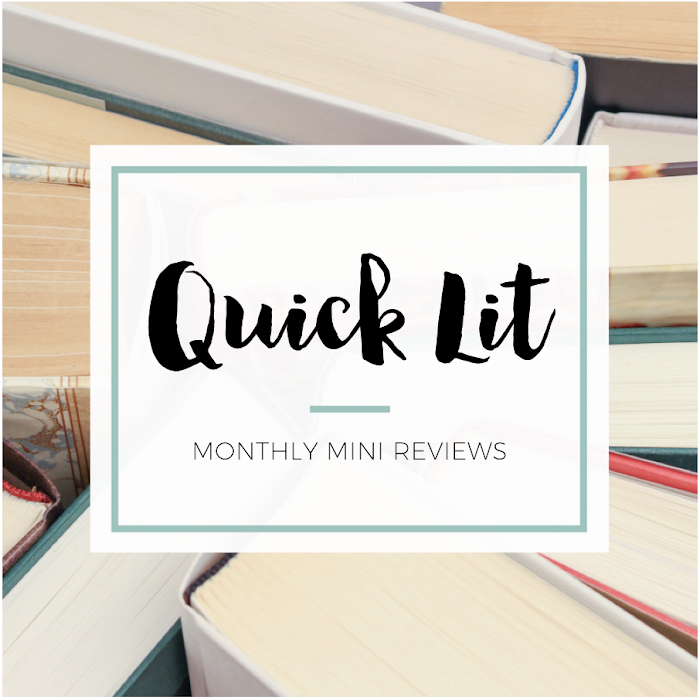 It was fun to see people recommend books that I already love and find new books I want to check out. My TBR just keeps growing. and I've been obsessed ever since. I listened to this song a lot in February! and ended up spending a lot of time reminiscing on high school and college! The Light Between Oceans (2016) starring Alicia Vikander and Michael Fassbender - All I wanted to do on my birthday evening was order BBQ from my favorite local place and watch this movie. I hadn't been able to see it in theaters and bought it as soon as it was released. I enjoyed the book and adore Alicia Vikander, so I had high hopes. I loved it, but it was a terrible choice for my birthday -- I cried my eyes out watching it! Sounds like another wonderful month!! I bet your desk is gorgeous and stylish just like you :) Haven't heard of The Keeper of Lost Things but the cover is so pretty. Oh man, I know just what you mean- I love the End of Year Survey but spend weeks on my answers haha! You are SO SO SWEET, thank you for highlighting my blog and for the kind words!! <3 You and I have REALLY similar taste in music; I only discovered Sam Hunt last year from Jess but I've been obsessed ever since (I basically switch between him and Hamilton with a sprinkling of One Direction lol). But I do love 2000s music and that playlist is legiiiiit :D I still listen to all of those songs, no lie. Happy reading with all your fun new aquisitions! I love the way your desk looks! I really need to clean up mine (it's a mess with books and papers all over it at the moment), and properly set it up so I'm more motivated to write and blog.